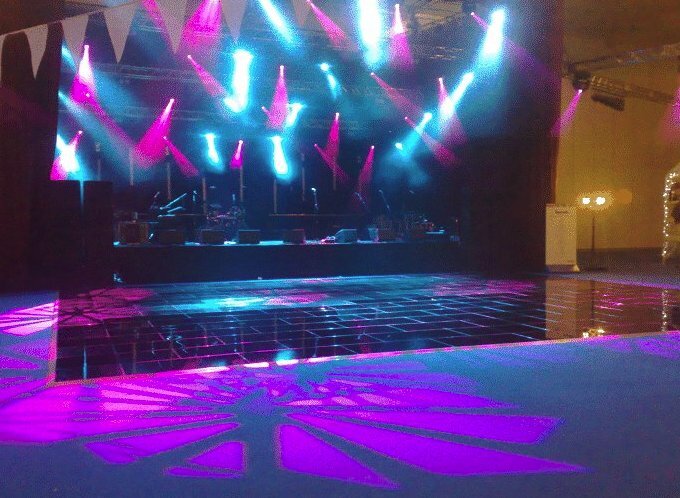 Dance Floor Hire UK provide many years experience in fitting and hiring pure black polished dance floors and flooring in the UK, London, England, Northern Ireland, Wales, Scotland and Europe. Our pure jet black dance floors look just amazing and are perfect for almost any occasion or event. All our pure black dance floors are delivered and professionally fitted in the location or venue of your choice be it London to Glasgow or Brighton to Manchester. The dance floors are all polished and checked for any defects before dispatch and are of the highest of quality and are all ready and waiting to be danced on. 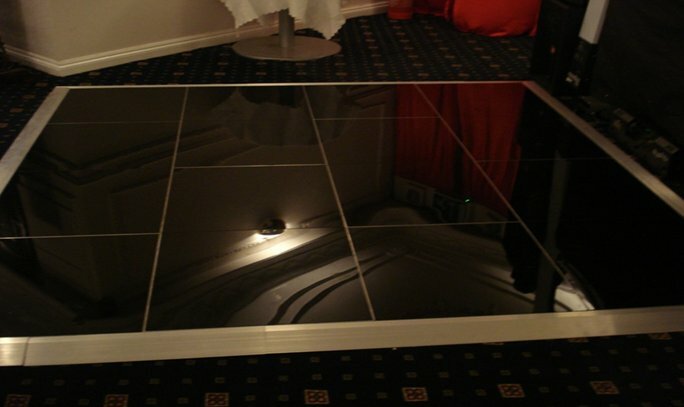 Our pure black dance floors come in individual sections of 2ft by 2ft. (600mmx600mm). Why not choose a pure black dance floor for hire today on a long or short term rental basis anywhere in the UK or across the whole of Europe. These dance floors are very popular and ideal for adding that extra special touch to your party or event. The edging is gently sloped with aluminium providing easy access for guests entering and leaving the dance floor. All our black flooring and dance floor systems are of top quality and will be delivered and fitted by our highly trained engineers at the venue of your choice. 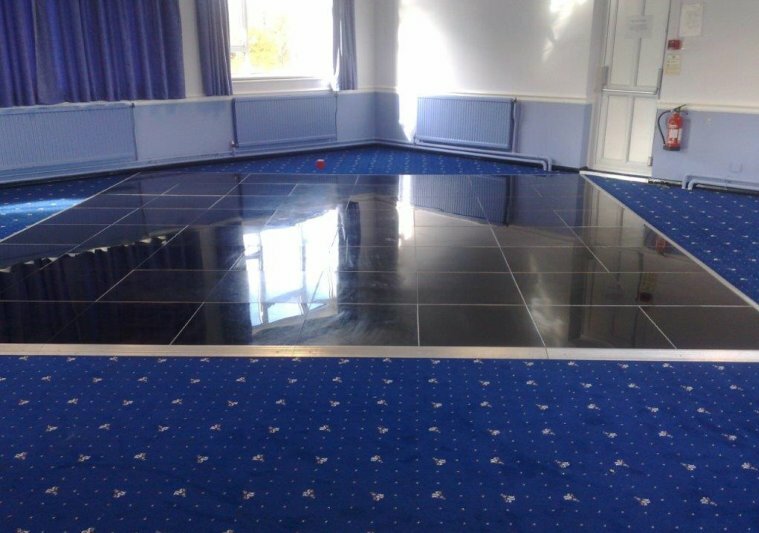 Why not choose a shiny pure black dance floor for hire today on a long or short term basis anywhere in the UK or Europe. Or check out our packages for great savings. Book your glossy black dance floor online by contacting us today. Please contact us for further information or for an obligation free quote on your dance floor needs. 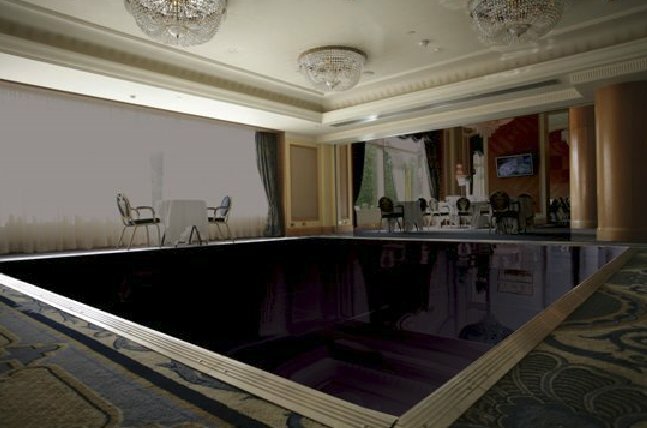 Remember that all dance floors be it Mirrored, Pure Black, Polished White, LED P Light and Black and White Dance floors are all made to the same size sections and are fully compatible with each other so there are thousands of limitless pattern options available with this flooring system.